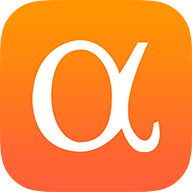 This series of instablog posts will highlight the most recently executed transcripts being added to the “Become the Smart Money” , Slingshot Insights Seeking Alpha Premium service. In these blog posts we will give you a bit more information about the subject matter experts we interviewed, the topics covered, and relevant companies. We hope that these brief overviews, combined with our free content and articles, will display what we believe is the content’s unique value to our members. Please don’t hesitate to directly ask us questions at any time via SeekingAlpha Direct message or email to info@slingshotinsights.com. While many individuals we speak to are unaware of the role expert interviews play for many professional investors, it is a $600mm industry. Many funds pay in excess of $100,000 a year just for a relationship with an expert network and over a thousand dollars per call. While these numbers sound staggering, many investors consider them well worth the money. Slingshot Insights’ sharing model has transformed the price of these calls for our customers and now we are making them even more affordable to you on the SeekingAlpha Marketplace for only $75 per month. Chief of the Division of Headache Medicine and director of the Headache Center at UCSF Medical Center. Manages ~1000 patients with migraine and specializes in the management of all forms of facial pain and headache. Author of numerous books on Neurology Clinical Case Studies and Headache and clinical and research interests include headache diagnosis and classification, emergency neurology, traumatic brain injury and medical education in neurology. Interview Goal: This conversation will focus on the physician's view of the recent Qtrypta data released in January and February. The focus will be on approvability, market potential and outstanding questions. Clinical research involves treatment trials for NASH and studies to understand the causes of NASH. Conducts basic laboratory research with an emphasis on understanding how dietary trans-fats damage the liver. This conversation will focus on the market potential for OCA in NASH. The call will discuss the efficacy and safety profile and what the implications are for other NASH companies. Assistant Professor at Yale School of Medicine and Assistant Director of the Yale Depression Research Program. Treats roughly 60 TRD patients per month, in a mix of settings including clinical practice and clinical trials; manages a growing ketamine service at Yale, which provides about 15-25 treatments per week. Served as PI or co-investigator on at least 12 clinical trials involving depression therapeutics including a large, federally funded trial comparing ECT and IV ketamine; runs a busy clinical service (the Yale Interventional Psychiatry Service), which offers electroconvulsive therapy, ketamine, and transcranial magnetic stimulation to patients. To understand the potential of Johnson & Johnson's (JNJ) esketamine in treatment resistant depression and the role it will play in treatment of this patient population. Clinical Neurologist. Director of the Dartmouth Headache Center, and Professor of Neurology at Geisel School of Medicine, Dartmouth. Treats~150 migraine patients per month. Previously investigator in the rimegepant Phase 2 trial when it was owned by BMS. and has published over 330 peer-reviewed manuscripts, editorials, and books. This conversation will get an update on prescribing trends in the migraine landscape as CGRPs have launched compared to oral and IV products. These expert calls can be accessed via our Seeking Alpha Premium service, Become the Smart Money.